DETROIT (Bloomberg) -- Toyota Motor Corp. said its North American plants will operate on normal production schedules the weeks of Nov. 28 and Dec. 5, including overtime. Toyota, in a statement on its Web site, also said it's "well positioned" to achieve fourth-quarter sales targets. The company's U.S. vehicle sales slid 8.8 percent this year through October after the March earthquake and tsunami in Japan reduced supply of parts.The overall U.S. market rose 10 percent through October. The automaker was bracing for further production cuts following floods in Thailand that had shut down some parts plants. Jim Lentz, president of the carmaker's U.S. sales unit, said in a Nov. 17 interview that the flood's effect was not as severe as the company expected. 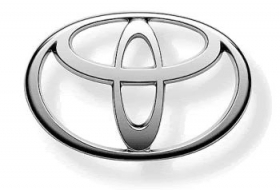 Toyota's statement today said that the company will determine production schedules beyond the week Dec. 5 based on parts availability.